Thank you to JMU Marketing Alum, Andrew Lux, Champion of "the adidas project"
If you were a student in my Integrated Marketing Communications class between the fall of 2003 and spring of 2009, then you probably recall the name Andrew Lux. If you don’t recall his name, perhaps “the adidas project” rings a bell. 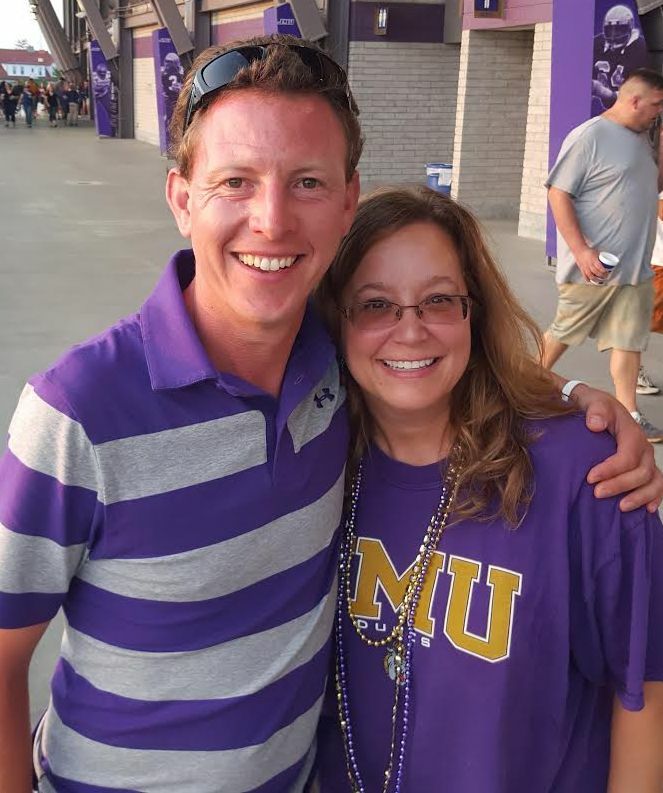 Andrew was a 2002 graduate of the JMU Department of Marketing and was recognized as the 2001 University Scholar-Athlete of the Year and the 2002 College of Business Outstanding Student in Marketing. After graduation, he accepted a position at adidas headquarters in Herzogenaurach, Germany as the Communication Manager for Football (what we call soccer in the U.S.) and Rugby. Andrew was promoted to Global Advertising Manager and worked in Amsterdam before returning to adidas headquarters as the Senior Football Communication Manager. During Andrew’s tenure at adidas, we collaborated to create a highly beneficial and reciprocal learning partnership between adidas and JMU. After drafting confidentiality agreements and figuring out how to assess course learning objectives, we crafted an experiential project for my course. The project involved students developing integrated marketing communication plans for one of adidas’ real soccer products, the F50. As students gained real-world experience, adidas gained fresh insights and new ideas about ways to market their products. 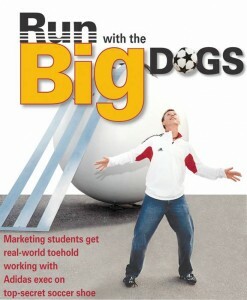 Donna Ragsdale Dunn (JMU ’94) wrote a feature story about our first semester working together, “Run with the Big Dogs: Marketing Students Get Real-world Toehold working with Adidas Exec on Top Secret Marketing Shoe“. The article showcased Andrew in the spring 2004 issue of JMU’s Montpelier Magazine as he juggled a soccer ball. Each semester for the next seven years, Andrew and I tweaked the project so that it would be a different experience for each group of students. Over the course of 12 semesters we reworked the project to help students experience different challenges as the products moved through introduction, growth, and maturity while facing intense competition from rivals such as PUMA, Nike, and Under Armour. To this day, I receive emails and phone calls from alums who ask if Andrew and I are still running the adidas project. My former students often comment on how much they learned, what a memorable project it was, and how it gave them such interesting things to talk about during job interviews. Some even say that it was a marketing project that best prepared them for the jobs they now do today. On behalf of my students who benefited from our collaboration and gained exposure to real-world marketing, I wish to thank Andrew for making this experience possible. I was inspired to write this blog post when I spotted Andrew at a JMU football game recently. Not only was I absolutely thrilled to see him, but I felt excited to personally share with him what kind of impact he made at JMU. We owe a debt of gratitude to Andrew for truly making a difference for hundreds of JMU marketing students by collaborating, donating his time, and sharing his expertise. Thank you Andrew!